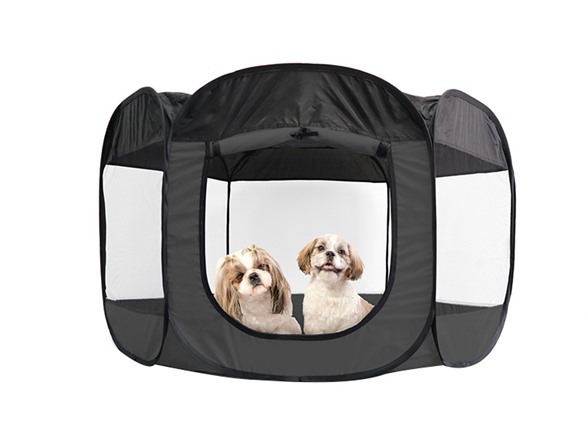 The Furhaven light-weight portable pet playpen allows pets to play in a contained area; features removable top, 360° open-mesh view, and zippered side entrance.The portable mesh pen serves as a dog playpen, puppy playpen, cat playpen, or other small animal pen, and keeps your pets safely with you while at the park, beach, and inside or outside your home. 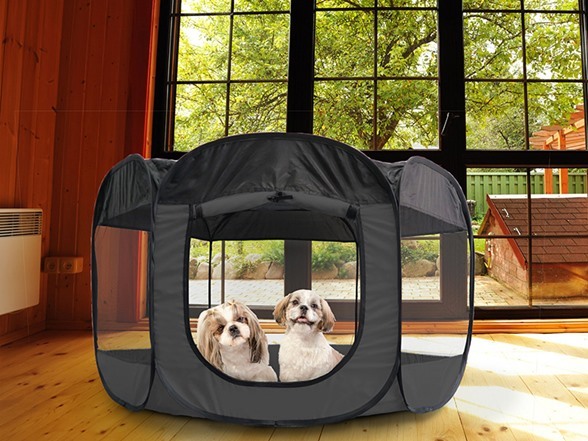 Large open-air mesh screened windows provide deluxe 360° view, and lots of fresh air. 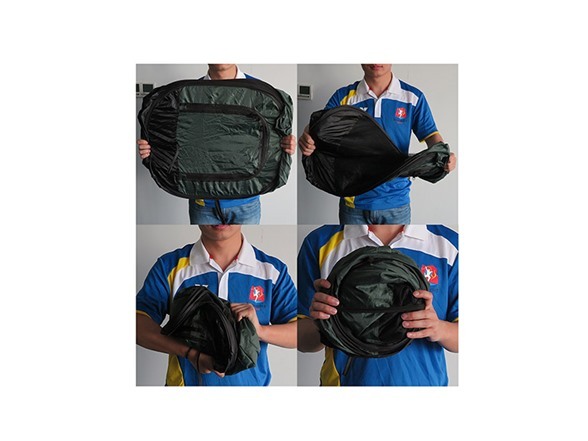 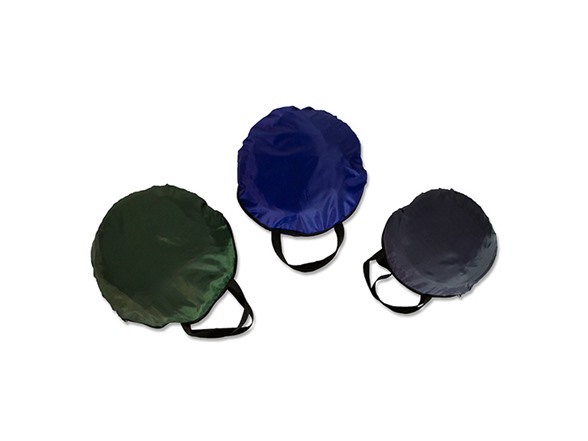 Top is fully zippered and removable, and the six side-panels form a circular shape. 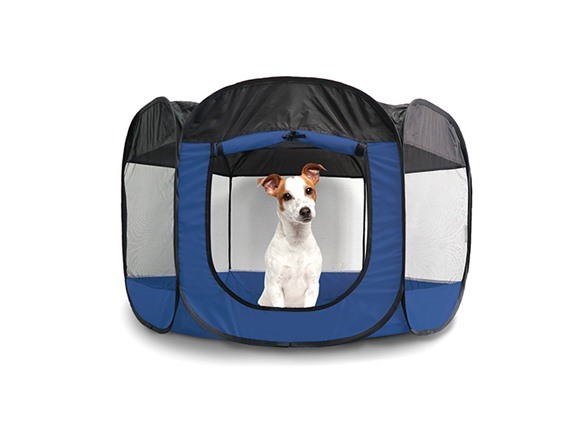 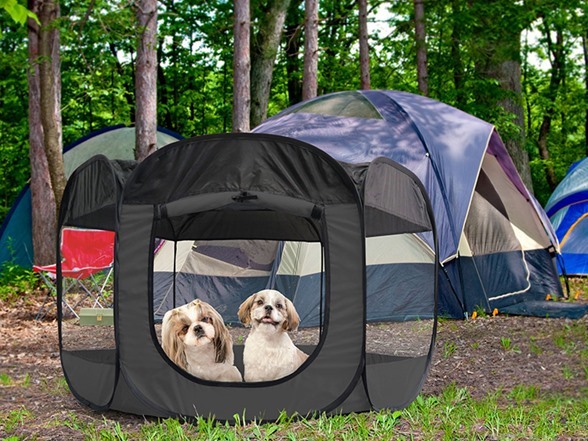 A large zippered side-panel entrance has a fabric tie-up letting pets easily enter and exit. 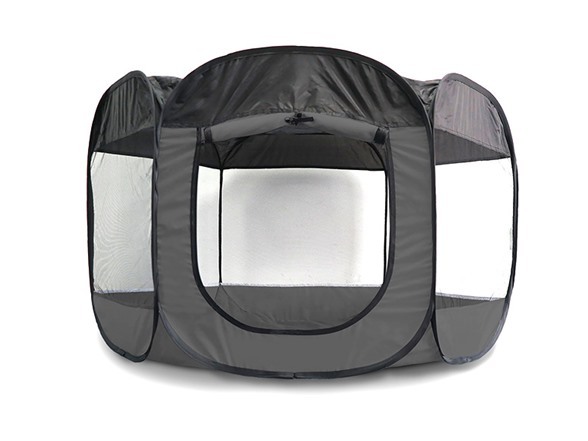 To keep the playpen in one spot, four metal stakes are included. 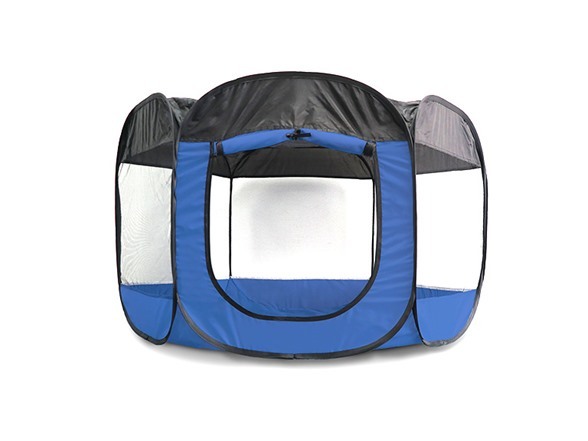 This playpen is easy to clean; just spot-wash with cloth and mild detergent; towel off or air dry. 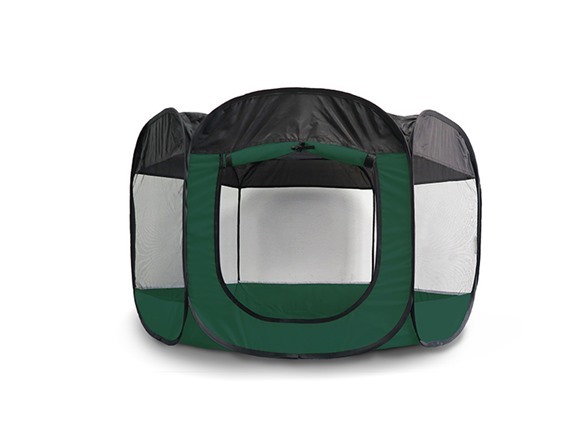 This portable playpen features an easy-open, pop-up assembly for a safe, secure play area. 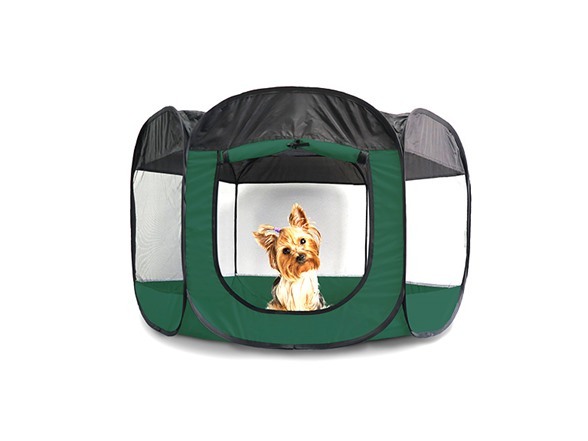 When you’re done using it, easily fold the playpen back into the included carry bag for your next adventure.